This modern semi-detached cottage lies within the village of Mevagissey, home to magnificent views across the valley and sea views towards beautiful St Austell Bay. Attached to the owner’s home, the retreat comprises of an open-plan living area, which leads out to a south-facing terrace and private garden. You will look forward to many cosy nights in front of the woodburner, or a social evening with your family and friends. The interior boasts two bedrooms, including a double with an en-suite bathroom situated on the ground floor and a super king-size double with en-suite shower room resting on the first floor. The coastline, fabulous beaches and renowned gardens of the beautiful Roseland Peninsula are a short drive down the coast while Truro, with its shops, restaurants, theatre and cathedral can be reached by car in half an hour. 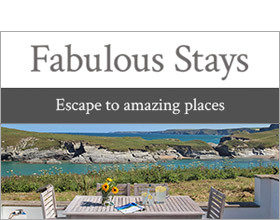 A promising retreat in an excellent part of Cornwall.